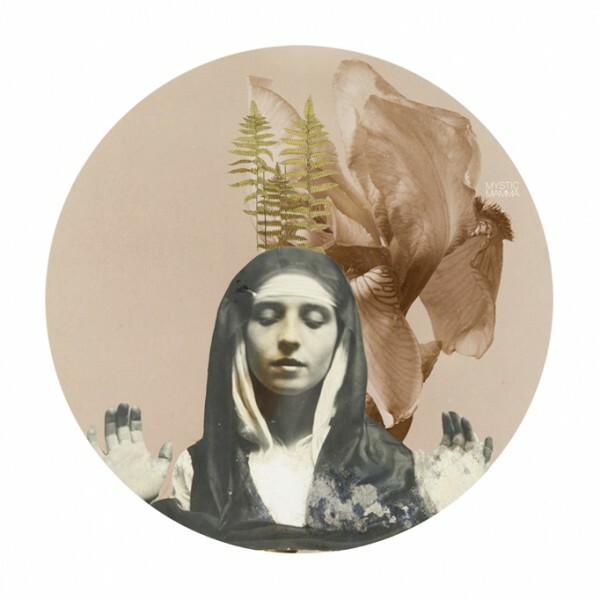 *NEW MOON* in Virgo augurs a time of deep self-healing. VIRGO is the archetype of the healer, the medicine woman, the one who is dedicated to serving her people. And yet there always comes a time when even she must retreat and give some of that healing to herself. Her connection to Source is strengthened when she goes within. And in the shifting tides, she allows herself the time she needs to heal. She makes a healing salve out of all her worries and abides marveling the perfection within the imperfection. “With five bodies now in Virgo, there is an extra strong emphasis on the qualities of this sign. “Mercury, ruler of this lunation is still in a conjunction to Mars… There’s plenty to shout about it seems but there’s misunderstandings afoot as Mercury has also just perfected an opposition to slippery Neptune. “It could be difficult to trust the information coming through right now which could also make us uncertain over what action to take. “We’re imaging, idealising, wishing and ready to implement new measures – but when it comes down to it, the Mars opposition to Neptune could dissipate energy and motivation. Efforts are scattered and it all feels too messy for precise Virgo. “A New Moon quincunx to Uranus also adds a wired, anxious element. People’s nerves are on edge. We want change and something different but part of us is feeling helpless given Mercury’s opposition to saviour Neptune. “It could feel like someone just took a jigsaw puzzle and threw all the pieces up in the air. Virgo’s task is to create order from chaos (opposite sign Pisces). “The trick is that we can only work with what we know to be true and let go of the rest. Chiron may tell us that there’s pieces missing. “Neptune then chimes in with ‘Well, if there’s pieces missing then there’s just no point doing this puzzle at all’. “Saturn says, ‘Tough! Sit down, sort out all the edge pieces and start from there’. “The point is that we can’t see the big picture at the moment and that’s ok. Find the edges, then continue with the blue sky. Clear your mind. Life isn’t always perfect. “The one release point from this challenged lunation is the sextile between the Moon and Sun with Ceres in Cancer. “Tune in to your inner Mother and connect with that healing, nurturing energy. “This New Moon is a call to up level our game of healing, wholeness, integration and integrity! “The most significant aspect this lunation makes is an opposition to Wounded Healer Chiron and karmic Task Master Saturn- triggering the Saturn/Chiron square. The Saturn/Chiron square is a transit I have been calling ‘the core wound territory transit’ as it has been bringing us face to face with our biggest wounds and pain. “Those Unconscious conditioning and patterns we keep defaulting to and finding ourselves stuck in the same karmic situations over and over again? Saturn/Chiron is putting a spotlight on them. “Saturn reveals where we are hard on ourselves and the inner critical voice we internalized from childhood OR he reveals where we are avoiding accountability and playing rebellious child to the inner critical parent. “…we are in a VERY energetic period due to the recent Total Eclipse! Some are being given a mantle of power, while others are finding their lower ego inadequate to prop up their illusions. “While many things continue to be taken away, this is providing us space in our lives to adjust for better physical, emotional, and mental health. “With so many planets in Virgo, there is a lot of work to be done. We had a lot unveiled during Mercury retrograde, and had to find new ways to look at things and different ways to do whatever needs to be done. “Many things have radically changed the past several weeks, and we now can move forward, knowing that even as one hand takes something from us, the other hand gives us exactly what we need. “As you know, ever since the Solar Eclipse in Pisces ‘the race has begun,’ and there’s no time for hesitancy or unnecessary considerations. Do what needs to be done quickly and efficiently, and let the ghosts of the past flow down the time stream. Oh yes, this is speaking to me. Thank you. Thank you Mytic Mamma for the compilation of astrologers you put together for us. There is a sense of community with your site. Thank you. Yes, it feels like the pieces of connections are scattered all over the floor. I try to make them fit into the puzzle, that is my life, and they don’t,because relationships are not a puzzle.im left confused, alone and disappointed.i will try to mother myself. Thank u.
I have found that when love from dissatisfying relationships leave you wanting answer that desire in yourself first. Give yourself the love you need first. Do things that give love back to you. Then when your cup is full you are happier and clearer on who and how YOU chose to love. What has been written about facing our deepest wounds resonates with me in a way I can’t describe. I’ve been living with my extremely emotionally abusive mother and I can’t live this way anymore. “Do what needs to be done quickly and efficiently, and let the ghosts of the past flow down the time stream.” Reading that made me feel empowered and correct in my choice to quickly move out and gain control of my own life and start creating my best Self with complete and total freedom. That Moon/Sun/Ceres Cancer connection speaks to my Cancer rising and my 4th house stellium in Libra, which happens to be where my Chiron and north node also lay… this time period is extremely charged and intense for me! I’m ready for some serious soul growth! Trying to play the face while I try to get my escape plan in place. I ran over a pigeon and killed it with my bike. I got off and was holding it while it died. The message was that even though I love them I release them to finally have peace and love in my life. The pigeon had to be sacrificed so I can continue on my true path. Much love. I am grateful for all that you give to mystic mama and your wise offerings. A thousand blessings for connecting us all through your brilliant work. Thank you again, mystic mamma! I truly appreciate the work you do to compile these insights for us. Sending you blessings! Thank you… so much guidance, all of it in love. I look forward to every one of your posts… thank you thank you thank you. Healing. Revelations on their way… Thank you!!! Ah, thank you. So needed this one! Been feeling “lost”, but that puzzle analogy brought some things together. Beautiful….thank you so much! I can so relate to this. Always beautiful words of support and guidance, assisting us to trust our inner process as we are so deeply influenced by the energy of the moon and all of the cosmic dance around us. Thank you for creating this place to step into to discover so much through the amazing insights shared here. Always a soothing, comforting space! Thank you so much. I’m Pisces with Virgo rising and Capricorn moon. I am chaos and heart and inner/outer critic and healer and Cap is pushing me to solve the all that Pisces is seeing. Very stressful times. Your advice appears as a clear pathway. Thank you, thank you. Thank you for being my most dependable source of information when the moon shifts from one sign into another. I always feel different with each phase and when I come here to find out why I feel the way I feel the answers are revealed in your curated collection. Thank you! resonates so deeply. this is beautiful! thank you for the enlightment you all shine…it helps so much! great article.I can really relate to most of them. im A Cancer Sun n Cancer Moon. With a Sagittarius Rising.. I really, really needed to read this. Thank you so much. Thank you so much! <3 With every new moon (and full moon) astral insights, I feel more secure in what I'm seeing swirling about me, my family and my community. Perhaps it's time I learn more about the effects of the planets, guess I'm a reluctant astrologer ;-) given that I'm a minister's daughter, perhaps I had to let some things/ideas go first, in order to open up to more mystical and ancient ideas. Onward and always learning! :-) Blessings and thank you again. does feel scattered, everything falling on me at once, including family! cant to a good job like i like to. but im supposed to let go. This is perfect! Just get it done. 💜 Thanks!! Medicine Woman. Wisdom from the Source. Just so as in the Beginning.